Module is simply Python file that has .py extension. Module can contain variables, functions, classes that can be reused. In order to use module we need to import the module using import command. Check the full list of built-in modules in Python here https://docs.python.org/3.6/library. We see if __name__ == ‘__main__’: quite often. Let’s see what this actually is. __name__ is global variable in Python that exists in all namespaces. It is attribute of module. It is basically the name of the module as str (string) type. 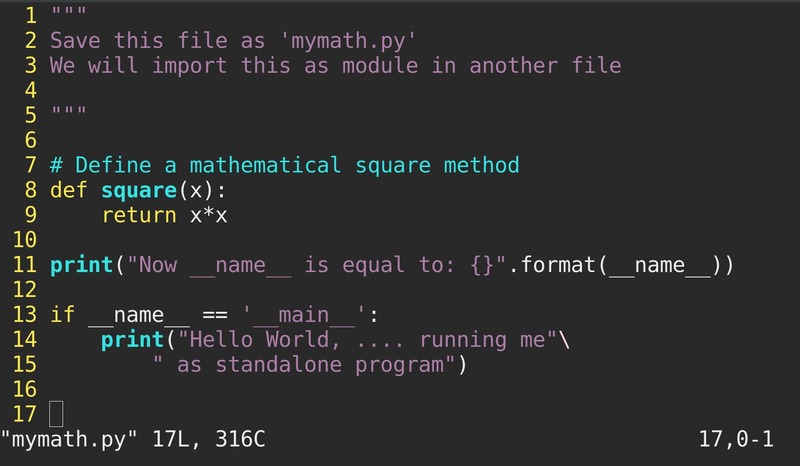 Create a file named ‘mymath.py’ and type the following code and save it. We have defined a simple mathematical square method here. Now create another file named ‘result.py’ in the same directory and type the following code and save it. Here we have defined a method in a module and using it in another file. Now on your terminal run ‘result.py’. Here we have imported the module mymath. The variable __name__ is set to the name of the module that is imported. 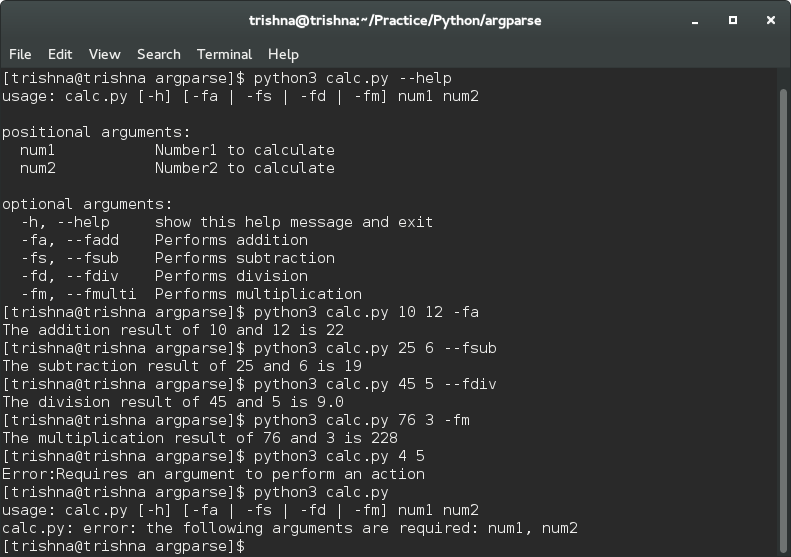 We have run the file mymath.py as program itself. And you can see here the variable __name__ is set to the string “__main__”. And we have checked if __name__ == “__main__” is True execute the following instructions which means if the file is run as standalone program itself execute the following instructions. If you do print(type(__name__)) in the program, you will see it returns ‘str’ (string) type.